Over 64 delegates from FEI Group V attended an FEI Endurance Forum in Tilaran, Costa Rica on 23-25 January 2015, the first Forum following the introduction of the new Endurance rules on 1 August last year. FEI Group V covers Colombia, Costa Rica, Cuba, Dominican Republic, El Salvador, Guatemala, Honduras, Mexico, Nicaragua, Panama, Puerto Rico and Venezuela. Athletes, officials including judges, technical delegates and veterinarians, as well as coaches and owners, gathered for the three-day Forum organised with the Costa Rica National Federation and Costa Rica Endurance Association to discuss Endurance across Central and South America and globally. Key areas addressed included horse inspections, the field of play, anti-doping and veterinary rules, disqualification and the FEI Online Entry System, which gives access to over 100,000 international athletes through a single online platform. At the end of the Forum, a one-hour Endurance ride was held to demonstrate the new rules in action. “The FEI Endurance Forum was extremely productive in a region where Endurance enjoys huge success,” FEI Endurance Director Manuel Bandeira de Mello said. A 15-year-old girl has become the youngest rider to win Endurance GB’s (EGB) supreme champion trophy. Hannah Maskell, from Buckinghamshire, won the trophy in her first competitive season — where riders race against each other over distances of no less than 80km. The trophy is awarded to the horse and rider combination gaining the most points in all types of competitions run by EGB over the 2014 season, which runs from March until October. Hannah’s successful season started with a win at her first 80km race in Brandon, Norfolk, on 27 April last year. She remained unbeaten in her next four races. DOHA: Qatar Tourism Authority (QTA) is inviting adventure lovers to participate in the second edition of Desert Caravan Challenge aimed to revive the Arab tradition of camel riding. QTA will arrange two camel caravans for a 12km endurance ride in Zekreet, west of Qatar for the challenge organised in partnership with Qatar Museums. It is working to develop the tourism product by adding new creative elements every year. The caravan will be held in a different region each year. Last year’s challenge was held in Al Zubarah Fort. Diversification of tourism products helps advance the National Tourism Sector Strategy 2030 which aims to develop a mature and sustainable tourism sector. “Our strategy seeks to build a modern and sustainable tourism sector capable of attracting tourists from all over the world,” said Hassan Al Ibrahim, Chief Tourism Development Officer, QTA. Al Ibrahim said he expects enthusiastic response from the public, noting that QTA built on the success of last year’s challenge which attracted hundreds. Open to Qatari citizens and residents above 18, the caravan will be held on February 6-7. It will from outside the antiquated mosque in Zekreet (House of the Imam) and pass through the scenic desert sand to Zekreet Fort. The caravan will stop for breaks near Richard Serra sculptures in Ras Brouq and the ruins of Zekreet village. QTA will select 15 candidates for the first day and as many for the second day. The journey takes between four and five hours and ends at the same location. During the journey, the participants experience Qatari hospitality in tents in the middle of the desert. The event is free but the ride will be a gruelling test of endurance that only adults in good physical condition should consider registering. It open to male and female participants, including those who have little or no camel-riding experience, as qualified trainers will accompany the participants. LOCAL rider Jenny Champion came up trumps in the main event when the Wairarapa Endurance and CTR Club hosted the North Island endurance horse riding championships at Whareama. It was a testing time for horse and rider with temperatures over the two days soaring into the 30s but they handled it well with no major mishaps being recorded. The high standard of vetting between loops was obviously a big help in that respect. In what was a busy programme which attracted more than 100 entries, the Domhealth CEI three-star 160km championship took centre stage. THE Bahrain Royal Equestrian and Endurance Federation (Breef) continued preparations for the Shaikh Khalid bin Hamad Al Khalifa Endurance Race Championship, which takes place on Saturday at the Bahrain International Endurance village. Muscat: The Sultanate is aiming for both on field and off field success as the hosts of the forthcoming GCC Women's Games. The fourth edition of the Gulf region's women's sports extravaganza is scheduled to be organised here in Muscat from March 8 to 18. The Ministry of Sports Affairs and Oman Women's Sports Committee officials on Wednesday declared their readiness to host a successful event during the launch ceremony of Games logo and website. During an impressive ceremony organised at the Diplomatic Club, the official Games logo — depicting the colours of all the participating nations, their culture and the sports — was unveiled by Dr Muna Fahad Mahmood Al Said in the presence of Minister of Sports Affairs Sheikh Saad Al Saadi, Undersecretary Rashad Al Hinai, Oman Women's Sports Committee Chairperson Sayyida Sana Al Busaidi and the women sports bodies' representatives of the participating nations. Speaking on the occasion, Undersecretary Rashad Al Hiani said: "We are ready for the Games. Come March, we will be welcoming all the athletes and officials from the participating nations." "We are happy to bring together the sportswomen from our friendly Gulf countries. We want to host a very great and successful Games," he added. Meanwhile, Oman Women's Sports Committee Director Saada Salim Al Ismaili said they are aiming for host a memorable Games while hoping for all-round success. "Obviously we want the Games to be very successful. And I think we have already began the process of achieving that goal today, with this impressive ceremony to launch the logo and the Games website," she said. "All of us have been working hard. And we will continue with the same enthusiasm to make the Games a grand success." "The GCC Women's Games are a great opportunity for us to showcase our organisational abilities as well as the talent of our Omani sportswomen. And more importantly it is a great opportunity to bring all these women athletes together and also know more about our cultures," she added. Stating that the fourth edition of the Games will be bigger and more challenging, she said: "Compared to the previous editions, this is going to be a bigger challenge as there will be more sports. This time the Games will comprise a total of ten games, including two new desciplines which are tennis and handball." "We will be hosting more than seven hundred athletes, accompanies technical and administrative officials from all GCC nations with the exception of Saudi Arabia. In addition there will be VIPs and other delegates and the number may go beyond thousand. So obviously it is going to be a big challenge and we will surely be ready for it," she added. Manama, Jan.20(BNA): Supreme Council for Youth and Sports Chairman, Bahrain Olympic Committee President and Bahrain Royal Equestrian and Endurance Federation (BREEF) Honorary President Shaikh Nasser bin Hamad Al Khalifa stressed the need of outstanding preparations for the Khalid bin Hamad Endurance Race Championship, which will be held next Saturday as part of the endurance season calendar. Shaikh Nasser stressed that BREEF will work hard for the success of the Shaikh Khalid bin Hamad Al Khalifa race, as an appreciation and recognition to the significant role played by Shaikh Khalid bin Hamad in supporting the constantly developing endurance sport in Bahrain. Shaikh Nasser noted that endurance sport in Bahrain has reached a period of evolution and development thanks to intensive care by His Majesty King Hamad bin Isa Al Khalifa. He pointed out that the participation of various riders in this race will enhance the strength of the event, explaining that all the riders have distinguished experience in addition to the high levels seen in the first race. He stressed that riders from the local stables will enrich the competition through good training. Shaikh Nasser wished all the best to all riders and stables in their participation and in their bid to achieve positive and outstanding results and advanced positions. Supreme Council for Youth and Sports First Deputy Chairman and Bahrain Athletics Association President Shaikh Khalid bin Hamad Al Khalifa welcomed the participation of the local stables and riders in this race, which is considered as one of the special and distinctive events that is expected to witness excitement and a high level of competition until the race's last moments. Shaikh Khalid called the organising committees at BREEF to pay attention and prepare well for this exciting race, as he expected it to be strong, distinctive and difficult because of rapid in length, especially riders are keen to achieve best positions and results. Under the directives of BREEF President Shaikh Faisal bin Rashid Al Khalifa, BREEF have set the final steps as part of their final preparations to organise the Shaikh Khalid bin Hamad Endurance Race Championship. BREEF has formed committees for this important event based on the directives of Shaikh Nasser in order to achieve complete success in the championship, which contributed significantly to the upgrading of all equestrian sport in Bahrain. Sabrina Zeender holds a bachelor’s degree in Science in Communications and History from Boston University and a diploma in Sociology, Politics and Management of Sport Science from the Universities of Lausanne, Leicester, and Montpellier. Zeender, who has been with the FEI since 1991, has served as FEI Director, Governance and Executive Affairs since 2011. She has previously held the positions of Human Resources, Finance & Administration coordinator; Sports administrator; and Manager of the Secretary General’s office. She left the organisation briefly in 1995 to work in her family’s business in the USA, returning to the FEI in 1998. Prior to working for the FEI, Sabrina Zeender was with Telecom Japan TV Productions in New York (USA) and the Fédération Internationale de Natation Amateur (FINA) in Lausanne (SUI). “I would like to warmly congratulate Sabrina on her appointment as FEI Secretary General,” FEI President Ingmar De Vos commented. “She is the first woman to hold this key management position in the FEI and the fact that we have been able to fill such an important position in-house clearly demonstrates that the FEI has grown into a professional organisation with a highly qualified team. Sabrina Zeender is a Swiss national of Salvadorian, American, and Austrian descent. She is fluent in English, French, and Spanish and has two sons aged 18 and 21. Dimapur, January 14 (MExN): A Naga boy brought laurels to the state winning a Bronze medal at the two-day Junior National Endurance Championship 2015 held on January 9 and 10 in Dibrugarh. A student of Class 9, Kekhriselie Rio, son of State legislator Zhaleo Rio, participated in the 40 km horse-riding event and won the Bronze Medal. A press release received here informed. Endurance riding is an equestrian sport where riders race for long distances at a controlled pace. It is one of the international competitions recognized by the Fédération Equestre Internationale (FEI), the international governing body for all Olympic equestrian disciplines. Endurance GB (EGB) has accepted a “blanket” sponsorship from Sheikh Mohammed’s Meydan corporation, following an unprecedented members’ ballot of 570 to 405. “A majority of EGB’s members have voted ‘yes’ in the recent ballot regarding proceeding with a proposed sponsorship agreement with Meydan,” said John Hudson, chairman of EGB. 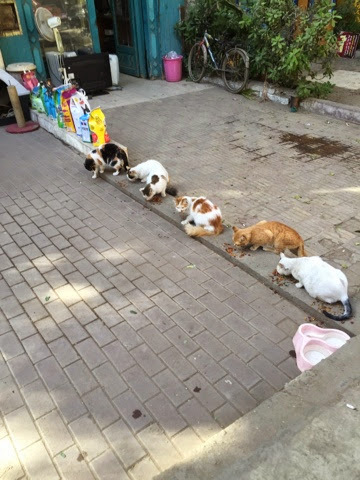 Outside a pet supply on Road 9 in Maadi is a great ad for their wares. — HH Sheikh Hamdan wins the 2015 Endurance Cup presented by Longines. 7 January 2015, Dubai ~ Meydan Group and the UAE’s support of endurance riding is to be extended in 2015 and beyond with significant announcements that include an International Endurance Series to be held under the patronage of HH Sheikh Mohammed bin Rashid Al Maktoum and sponsorship of the 2015 FEI World Endurance Championship for Young Riders & Juniors to be held in Chile. Devised by Meydan Group and the organizing committees of four European countries, the concept for an International Endurance Series includes high-profile rides to be held during the Summer and Autumn of 2015. The rides will take place in key locations in Italy, England, France and Spain, culminating in Dubai. The top-finishing horse-and-rider combinations from the four European rides will earn automatic entries into the 2016 HH Sheikh Mohammed Bin Rashid Al Maktoum Endurance Cup presented by Longines, at Dubai International Endurance City. “It's a list of the ultimate Chilean tourist destinations, the most beautiful and sacred landscapes, places that are worth seeing from any perspective. 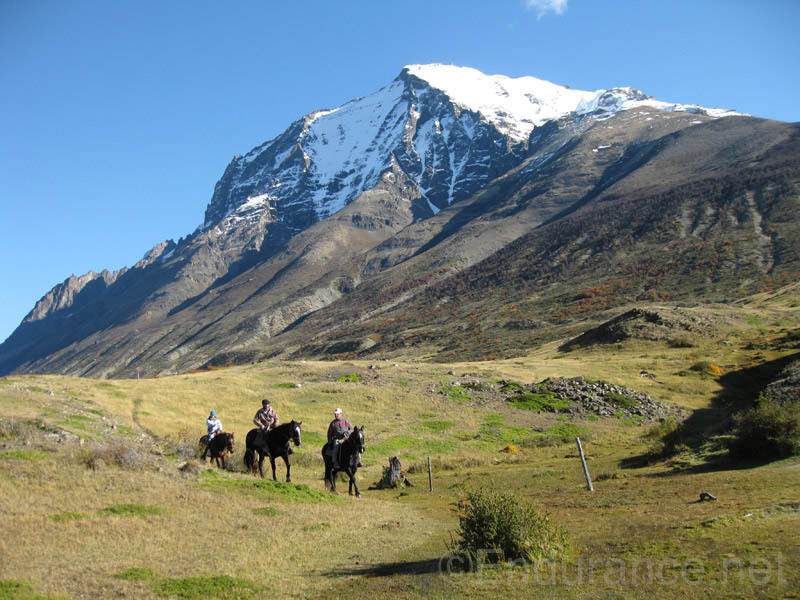 Places that are almost beyond imagining from horseback - and for an endurance rider who likes to 'really' ride it doesn't get much better,” wrote Steph Teeter in 2009, from Patagonia, where she rode in the 5th annual Torres Del Paine Endurance Race. “We invite you to experience this unforgettable equestrian event, in the extremes of Chilean Patagonia! The 10th of April 2015 kicks off the 11th annual running of the “Torres del Paine Endurance Race”. Dubai Just four months after winning the 2014 FEI World Endurance Championship in Normandy France, Shaikh Hamdan Bin Mohammad Bin Rashid Al Maktoum, Crown Prince of Dubai and Chairman of Dubai Sports Council added another prestigious endurance title to his roster of titles when winning the $2.6 million (DH9.5m) HH Shaikh Mohammed Bin Rashid Al Maktoum Endurance Cup CEI***. Equestrianism’s governing body, the FEI, was under pressure on Thursday night to explain why an investigation into a new alleged case of a ‘ringer’ being used in endurance racing by members of Dubai’s ruling Maktoum family has failed to result in disciplinary action. The FEI yesterday admitted that it had investigated allegations that a horse competing in an endurance race in Numana, Italy, in June 2012 was replaced by another during the 160km (99.4 miles) event. The race was sponsored by Maktoum-related companies. But the FEI declined to answer further questions about the investigation and its outcome, instead referring The Daily Telegraph to its Equine Community Integrity Unit. The ECIU, established to deal with disciplinary cases on behalf of the FEI, is serviced by former Metropolitan Police commissioner Lord Stevens’ company Quest. It did not respond last night when asked for details of the investigation. DUBAI, Jan 8 (Reuters) - Dubai's government-owned developer Meydan Group has boosted the prize money for Saturday's Endurance Cup to almost $2.6 million and announced a series of European races to promote endurance riding, it said on Thursday. "We feel that endurance has been left out so the prize money was enhanced to benchmark with other sports," said Saeed Humaid al-Tayer, chairman of the group that runs Dubai's opulent racecourse. Each foreign rider, except Gulf Arab nationals, who completes the challenging 160km (99 mile) Sheikh Mohammed bin Rashid al-Maktoum Endurance Cup will receive 100,000 dirhams ($27,226). About 190 riders are expected to participate. Perhaps reflecting the efforts to bring about change for the better in endurance racing in the UAE, and heavily promoting “To Finish is to Win,” it was announced at the press conference for the CEI*** 160-km HH Sheikh Mohammed bin Rashid Al Maktoum Endurance Cup to be held in Dubai on Saturday, January 10, that every rider who completes the race will be awarded 100,000 Dirhams (approximately $27,000 U.S. dollars). January 6 - It's 3:05 AM, Jan 6 here right now. I normally wake up for a few minutes at this time of the morning. Share a few thoughts with you and go back to sleep. This morning I woke up with the realization that the dream will take a different turn today. The crews will be landing 8:15 PM Jan 7. Hopefully they get through customs as fast as we did. If they don't it might be an hour or so for them to get through. Once they do they'll come directly to the Meydan Hotel. There is some confusion as to whether there will be arrangements to pick them up so today we'll have to find out for sure so at least we can have one of our drivers pick them up. It's a 20 minute drive from the airport to the hotel. They'll arrive just in time to settle in from their rooms, hopefully go back to sleep because Jan 8, two days before the race we'll have an impossible schedule starting with a meeting with the horses. Most of the crew have never met these horses. This is going to be the test of a "professional" crew. Our crew people are already a unit as they've done this job together many times. This will especially show up at the vet checks. The vet checks will be short, four of them from 35-40 minutes with one 50 minute one before the last loop. The riders will have no time to look after horses. When the horse comes over the timing line the crews will take over the horse and rider will be whisked away for a bit of a break. Meanwhile the other crew members will have swarmed the horse, pulled off the saddle and cooled with gallons of cool, or even cold water depending on ambient temperatures, made sure heart rate is down and stable , taken to the vet, examined, trotted out for lameness, brought back to the rest area for a few minutes and 10 minutes before we are to leave, saddle the horse in time for us riders to leave on time. This is where absolute trust of the crews come in. It's in the best interest of the rider to give up his horse and look after himself. It's in the best interest of the horse for the rider to look after himself. This is a hard thing to do on both counts. The people we have chosen as crew are multitalented, educated and have had years of endurance experience. They know the drill, they know stresses can come from anywhere - from a cranky rider to mistake in paperwork. They are physically fit. Running after horses with a big water bottle in each hand requires some muscle and wind. They will have to deal with jet lag, moving in to new digs and getting to know our horses. They'll have to take the time to learn how our tack goes on, what our horses eat and their particular quirks. They'll have to move gear out to the crewing and rest areas and go to a couple of events where they will have to "dress nice". Someone will have to be well informed enough and eloquent enough to deal with press. Yep, we have the dream team crew - we so hope to do you proud. Dubai, Jan. 8. (BNA) -- Following directives from its Captain Shaikh Nasser bin Hamad Al Khalifa, the Bahrain Royal Endurance Team will participate in the Sheikh Mohammed bin Rashid Al Maktoum Endurance Race Challenge for a total distance of 160km. DIBRUGARH, Jan 6 – The Equestrian Federation of Assam will be hosting the National Equestrian Championships, Endurance 2015 from January 9 to 11 here. With the successful hosting of the events in the past, Dibrugarh is fast becoming a lead destination for Endurance in the country. The event will be held over a 60, 80 and 100 km for the senior category and 40 km for the juniors. The track for the championships will go through the picturesque tea estates, skirting the mighty Bhramaputra. The unique landscape of Upper Assam lends itself naturally as an ideal destination for the sport. The event although hosted by the Equestrian Federation of Assam, is being held under the aegis of Equestrian Federation of India and all major National teams are likely to participate. This year’s meet will see the participation of more than 60 horse and rider teams. Also for the first time the event will witness a maximum participation in Endurance from the region, including a nine-member team from Assam Police. For the Junior National championships we have confirmed entries from Assam Valley School Tezpur, DPS Numaligarh and Royal Global School, Guwahati. Over and above these, a strong contingent is expected from Manipur Equestrian Association. Meanwhile Siddhartha Sharma, secretary general, Equestrian Federation of Assam, thanked the Equestrian Federation of India for allotting these events to Assam, thereby providing opportunity for the riders from NE India to compete at the National level within the region. Endurance GB is to accept a “blanket” sponsorship from Sheikh Mohammed’s Meydan corporation, following an unprecedented members’ vote. Debate has raged for months about the wisdom of allying the British national governing body with Dubai, where the Sheikh’s stables have been at the centre of doping and horse-injury scandals for more than a decade. Voting in favour were 570 EGB members, with 405 against and 35 abstentions. This represents a 55.2 per cent turnout by a small membership organisation that is under-funded compared with show jumping, dressage and eventing. Already some “no” voters have taken to their members forum to announce they will not rejoin. The three-year deal, for an undisclosed sum, covers EGB’s entire international calendar, the cost of new technology – required under new FEI rules directly aimed at combating types of rule-breaking such as horse-swaps and short cuts alleged to be common among Middle East riders – and training bursaries. On July 6 the competition returns to USA at Pleasanton and the penultimate race will be at the Ostend racecourse in Belgium on August 17. Abu Dhabi: The seventh edition of the Shaikh Mansour bin Zayed Al Nahyan Global Arabian Horse Flat Racing Festival hosts 102 flat races and nine endurance championships across the five continents through the current year, it was unveiled on Saturday. Spot-the-Marmoog – the new Christmas party game for all the family! A couple of posts ago http://www.horse-canada.com/cuckson-report/hiding-in-plain-sight/, I remarked that anyone who searched randomly through the FEI database was likely, within 20 minutes, to chance upon a horse whose provenance did not stack up. This followed revelations about the failed FEI investigation into whether dressage horse Wily Earl and the three-years-younger Golden Coin were one and the same, a case drawn to my attention after the collapse of the Marmoog horse-swap enquiry on a legal technicality. Quite a few of you took my 20-minute challenge seriously, and have referred me to horses who seem to have started their careers rather late in life. Others who have caught Marmoog fever tell me they’ve scoured endurance pictures on the internet in search of mid-ride horse swaps. There’s certainly a buzz when you think you’ve spotted a ringer. (This new-found party game has quickly gained popularity thanks, no doubt, to Christmas TV schedules rarely living up to expectations, or running out of things to say to your elderly aunt. It’s fun for all the family, with no prior horse knowledge required – all you need is normal eyesight). World Horse Welfare, the international horse charity and independent welfare advisor to sport regulators, has agreed to take part in a Review Panel for the proposed sponsorship contract for Endurance GB with the Dubai-based group Meydan. The sponsorship is a sensitive issue given the controversy that the international sport of endurance has experienced in recent years, following the excessive rate of injuries and fatalities of horses in some parts of the sport.